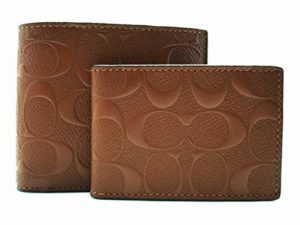 Yes, COACH designs a wide range of luxurious wallets for men! Now they’re obviously most famous for their women’s products (purses & bags, women’s wallets, clothing, etc..), but based on what you’ll see below – their men’s wallets are awesome as well (and super “high-end” in terms of construction, leather selection & functionality). Few people realize that COACH actually started out making wallets in the 1940s. Today we’re going to look at 10 of these such wallets (our personal favorites). Each comes with its own unique leather design and choice of colors to choose from. We’ll look at the good and bad points of each wallet. This will help you to make an informed decision when it’s time to select your next wallet. This beautiful men’s wallet is wrapped in a very luxurious sport calf leather. It is a “mahogany style” dark brown color. It terms of size of wallets it’s towards the smaller end measuring 4.25 x 3.75 x 0.5 inches meaning it’s small enough to fit in either your front or back pocket. We recommend always carrying ANY wallet in your front pocket for health reasons, but that’s for a different post. Inside you’ll find enough space for 8 credit or debit cards as well as 2 slip pouches inside for any other valuables you may want to keep. It has the bi-fold pocket in the center of the wallet for any cash notes as well as a transparent pocket to hold your ID. 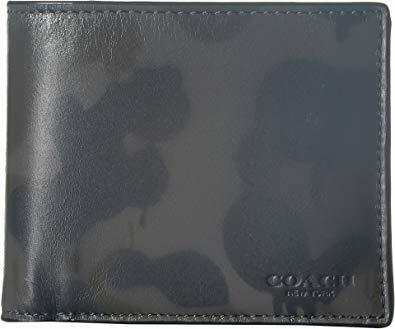 This second wallet manufactured by COACH we’re looking at today is towards the higher end of the price scale costing around $175.00. For this investment you get a beautiful wallet covered in signature leather and crafted to a high standard. Inside the wallet you’ll find eight slots to store your credit and debit cards. The pouch for your dollar bills or cash notes is full size meaning they won’t get crumpled or folded. Unfortunately it does lack RFID protection. 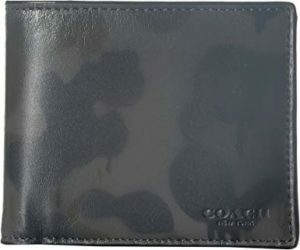 Coming in at a bit cheaper than the Signature Hardware, this wallet by COACH costs $93.00. It Is also covered in a fine leather with the logo of the brand being imprinted on the front in the bottom right corner. Inside you’ll have a bi-fold slip for your cash notes as well as compartments for up to 8 credit or debit cards. Unfortunately this wallet also does not have RFID protection meaning you’re not fully secure. This snazzy little wallet is created and designed by COACH. It’s covered in Coach’s signature leather and comes in two shades of brown. Like the other wallets this also doesn’t have any RFID protection for the 8 credit card slots that it has inside, as well as a bi-fold slip for any dollar bills or cash notes you might have. You’ll also find a transparent slot for your ID inside the wallet to the bottom right, meaning you don’t have to get it out each time if you’re fortunate enough to be ID’d. 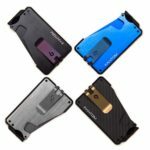 This wallet’s design is different to the others in the respect that it takes more of a rectangle shape as opposed to the square shaped design of typical wallets. You’ll be splashing out around $95.00 on one of these beautiful leather wrapped wallets measuring 3.75”X7.5” with 14 compartments inside for your credit and debit cards and a zip pouch for your coins. This calf-leather wrapped wallet comes with a baseball stitched design on the front of the wallet going down in a vertical line. The 3 in 1 wallet function consists of a full length slip for your cash note, the standard eight compartments for credit and debits cards inside as well as a removable transparent window for your ID with an additional two slots for credit and debit cards. 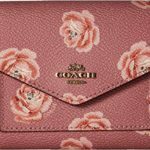 Unfortunately like many of COACH’s wallets it doesn’t protect you from RFID theft. 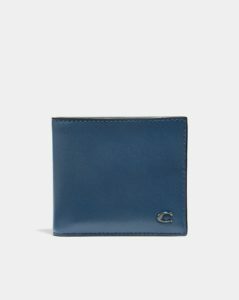 This wallet from COACH comes in three colors; brown, black and navy. It is at the higher end of the price range costing around $125.00. It is wrapped in sport calf leather and has a vintage theme to it. It is a slim and slender design and inside you’ll find 8 slots for your credit or debit cards as well as a convenient see through ID window. You’ll also find multifunction pockets inside the wallet that can be used to store valuables. This wallet has a stitch striped design on the outside of the wallet with the COACH brand stamped on the bottom right of the wallet. It is cloaked in smooth calf leather with compartments inside for up to 8 credit or debit cards as well as a full length bill compartment. Also inside you’ll find a convenient ID window and an additional two credit card slots. Unfortunately this wallet is not RFID protected meaning you at risk of theft digitally. This last wallet we’re reviewing is made by COACH and is covered in a fine leather with a buffalo embossment on the exterior giving it a luxurious and upper class feel. Inside you’ll find the standard eight compartments to store your credit and debit cards. It has two full length bill compartments at the top of the wallet as well as a see through window for your ID accompanied by an extra two compartments for your credit or debit cards if needed.